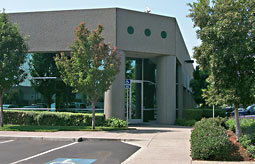 A business partner to technology companies for over 50 years, Cellotape’s focus has been laser sharp since the beginning: to be the best, most trusted source of innovative labels, overlay panels, nameplates, and components to customers in the Electronics and Medical industries, as well as other companies throughout California's dynamic economy and beyond. We continually develop innovative solutions to our customers’ product and supply chain challenges. Cellotape’s dedication to being a valued business resource has resulted in strong customer alliances with many of the most respected leaders in the Medical, Networking/Telecom, Storage, Semiconductor Equipment, Electronics, Peripherals, and Automotive Parts industries. That dedication is based on award-winning quality, the latest developments in applied technology and processes, unparalleled service, and the same mutual respect and trust that we’ve enjoyed with our valued customers since 1949. Over the past 50 years we have learned as much from our customers about their products, engineering schedules, logistical challenges, inventory issues, quality needs, and service requirements as they have about the myriad ways to design quality, speed, and cost efficiency into their labels, overlay panels, nameplates, and components. Our website is dedicated to helping you, our business partners, become even more familiar with "The Cellotape Difference."